Using Chess Clocks – it’s the Future ! Further Details to be announced soon…. Further Details to be announced…. Howdy Blog Fans! You lot are probably sick of me not actually getting to the painting piece of this project yet… well….. that’s still a way off. I am working hard to try and get started on it soon though, but this is project is a marathon not a sprint! 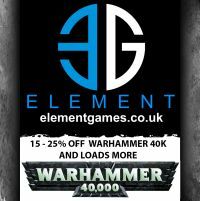 Instead i’m going to talk about the dreaded “F” word that is maligned by many 40k enthusiasts. That’s right folks… this update is a fluff piece! Copyright © 2019 Caledonian Deathwatch Network. All Rights Reserved.